Photo of Sybil Buck (Thanks Dana!) via Alkemie Jewelry. 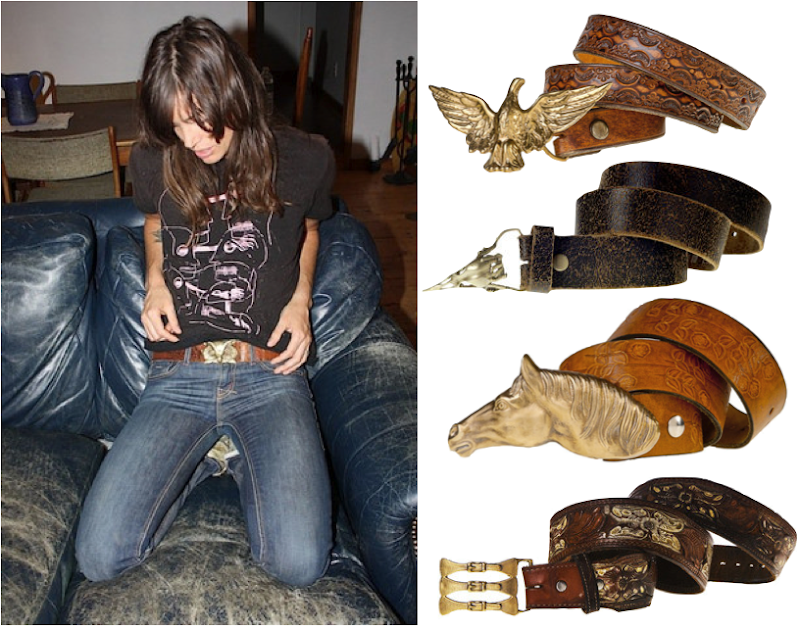 Eagle belt ($265); Bird Skull belt ($265); Horse Head belt ($265); Three Belts belt (TBD). Oooo, I love the horse! Insane. In a good way. Love these. love the three belts belt! I adore the bird skull! I love collecting Western belt buckles.